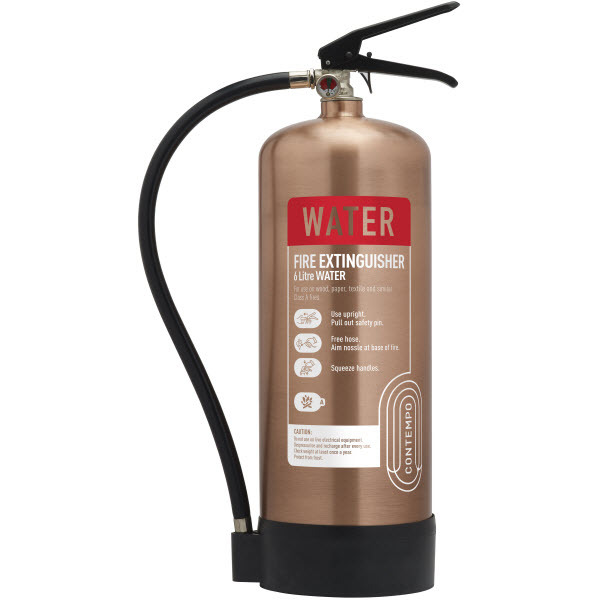 The Antique Copper 6 litre Water Extinguisher is the perfect solution to having a fire defence which is reliable and continues a contemporary feel. That way, staff and visitors can stay safe without compromise. The antique brushed copper finish looks the part, while the stainless steel construction makes it rust-resistant.